Daniel Zapico was born in 1983 in Asturias (Spain). Since his early youth he has studied the field of Early Music, specializing in the theorbo in 1999. Along with Xavier Díaz-Latorre, he finished his High Studies with the maximum rating from the Escola Superior de Música de Catalunya (Barcelona, Spain). In 2012 he earned the Master’s degree in Musicology, Musical Education and Interpretation of Early Music from the Autonomous University of Barcelona (Spain) receiving unanimous praise of the court for his degree project about Robert de Visée. As a founding member of the ensemble Forma Antiqva, he has played extensively in important festivals throughout Spain and in several concert tours in Australia, Austria, Bolivia, Brazil, China, Ecuador, France, Germany, Greece, Holland, Japan, Mexico, Panama, Peru, Serbia and Singapore, obtaining the acclaim of the audience and critics. He performs with Enrique Solinís and his brother Pablo Zapico in Pulsata3. This ensemble won the INJUVE Musical Circuits competition in 2004. How was your experience playing music from the time of Cervantes here in Kolkata? Daniel Zapico : It was just great! We felt a very warm welcoming from the audience. One could feel they really enjoyed the concert, as they came afterwards to talk with us, take some pictures and ask many things about this music and our early instruments. As this is a classical guitar festival most of them already knew arrangements of the music for modern guitar but now they were experiencing and listening to the original works in period instruments such as the Baroque guitar and the theorbo. Pablo Zapico : It has been such an honor to be the first musicians ever to be guests in this festival interpreting early music plucked instruments. 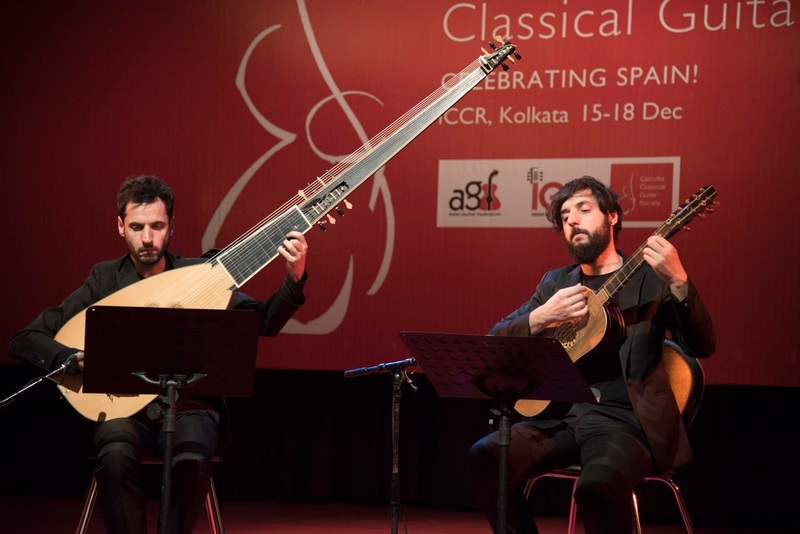 It is rewarding to see these historical instruments included in guitar festivals. What has been some of your memorable performances till date? 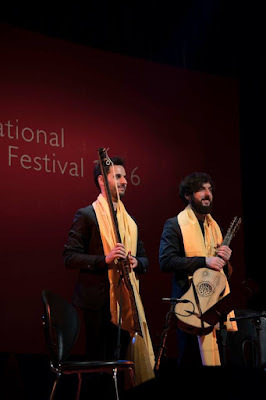 Pablo Zapico : I believe I can answer from the two of us when I say that one of our memorable performances was as continuo players at the Teatro La Fenice playing Purcell’s ‘Dido & Aeneas’ La Fenice is one of the most famous and historical theaters, and it’s placed in a marvelous city. We got to spend three weeks living in Venice and we saw the city full of snow! You're often on the roads across various countries, whether to play your music, or to teach master classes. 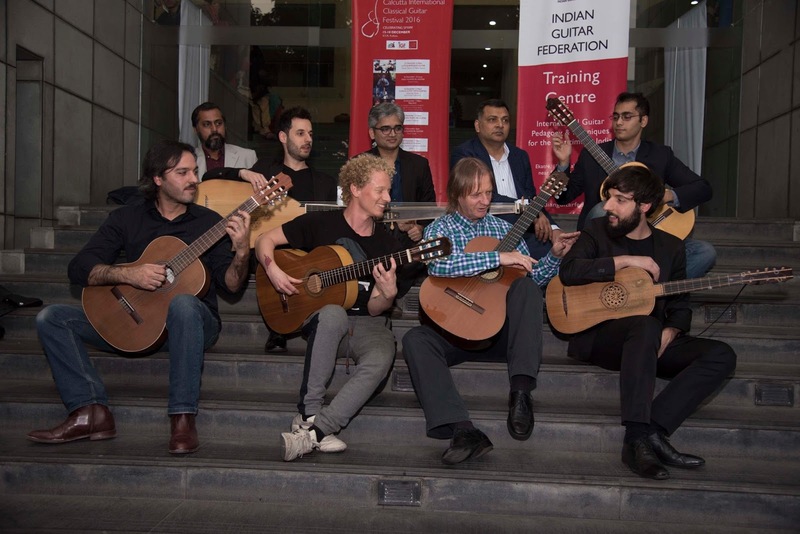 Besides performing, how important is it to teach, advice, and promote new talents? Daniel Zapico : Teaching is as important as to learn! You need to be open to new ideas always, to listen to other musicians and to understand different points of view. As a professional musician, you must share your experiences with the people who are starting this wonderful but hard way of life. We love to teach and we both do so in our cities, and also when we are on tour. You never know something quite well until you have to explain it. You have won several awards and prizes at prestigious competitions around the world. What is your opinion about competitions in general? Pablo Zapico : Competitions are a good way to show yourself to the audience and the professionals that form the examining board, but they shouldn’t determine your career, in terms of success. Sometimes it’s difficult to agree with the board criteria and that shouldn’t be a matter of frustration. What I believe important is to learn something from participating, and understand that you are not alone in your opinion about musical aesthetics. There’s not only one way of doing things correctly. Do you think they are good for developing young players? Daniel Zapico : I think it is not. The real prize is the concert and the audience’s applause. I believe that the audience shouldn’t take the prizes and competitions awards as a guide to know who is better or which one they should listen to concerts. Nowadays we have several ways to discover musicians and that’s healthier and more important for us than a competition between us. Everyone in the audience can have an opinion; don’t follow only the members of the jury’s one! You are active on Facebook. In your opinion, how important can the internet and social networks be to today's musicians? Daniel Zapico : I often hear that social media is the future, but it is not: it’s the present. For us it’s a wonderful and a powerful tool of marketing and promotion. Through it we have the possibility to connect with other musicians, promoters, festivals and all kind of audience. We have the chance to get a straight feedback from them, to announce our activities and share them with everyone around the world. Pablo Zapico : I’ve realised that most followers also want to learn other aspects of the artist’s lives. They want to know what we are practicing, playing, and what we are doing before and after a concert. The artists, in exchange, want to break the formalisms of a concert, and reach our audience showing more personal aspects of our lives. How do you feel about the future of classical music and the future of baroque music? Pablo Zapico : I always say that early music (that’s to say, music historically interpreted) is a door that, once opened, cannot be ignored. Comparing it to the cinema industry, it would feel like watching a film in its original version, enjoying the rhetoric's, the accents, breathing and the original voice of the artist. The tendency, and the future, goes towards the specialization. What are your upcoming concerts and projects? Daniel Zapico : I finished 2016 with a solo recital in Tarnos (France) and I will start the New Year playing the opera «L’Orfeo» from C. Monteverdi in Potsdam (Germany) and Gent (Belgium) with L’Arpeggiata. 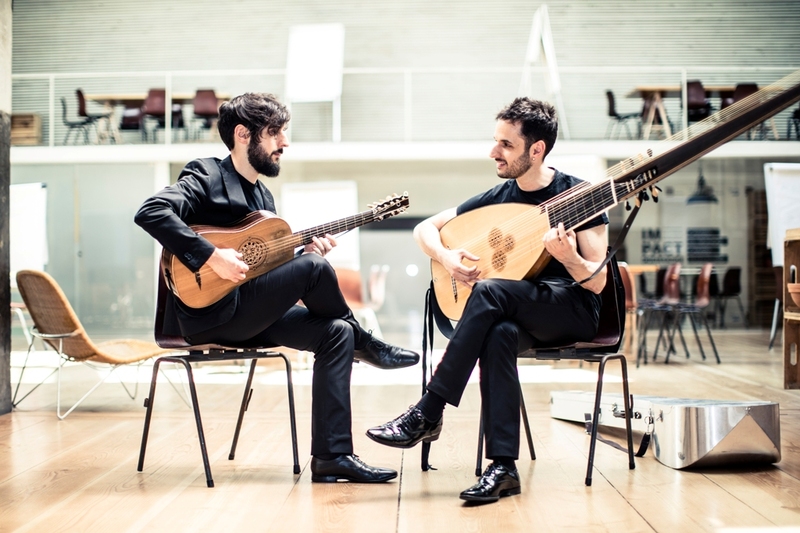 Also in January I will have some concerts with the famous Spanish singer Marta Almajano and the ensemble Tiento Nuovo, just before I go to La Folle Journée on February, a crazy weekend full of concerts in Nantes(France) to play with Ricercar Consort and also a solo recital with theorbo. Pablo Zapico : I will go on tour in January with Valetta International Baroque Ensemble through Malta, Madrid and Berlin. Then, in February, I will perform in Barcelona with my ensemble Forma Antiqva and countertenor Xavier Sabata, and later on at the Theatre of the Zarzuela, together with my brothers ensemble, Concerto Zapico, playing ‘Fandango’ There are two upcoming projects that are special to me: I will be teaching my 11th Continuum Masterclass in Salamanca, and a solo recital in Calanda(Aragón), inside the Festival in the memoir of Gaspar Sanz, the most representative Spanish composer for Baroque guitar. What would be word of advice for aspiring musicians? Daniel Zapico : Keep working to find your way of playing. You don’t need to be the best, you just need to create a musical attraction on your listeners. Pablo Zapico : Above all, don’t try to imitate others. You can learn a lot by studying and listening to the great musicians, but in the end you need to offer more. You can’t be better than those you are imitating, unless you develop your own essence and go beyond.